Hopefully you will see this as a treat just as I do – me reminiscing this summers trip to south of Italy. Somehow summer happened, there was no WiFi in Italy and the same at our country place so I forgot to blog about this. But here you go. 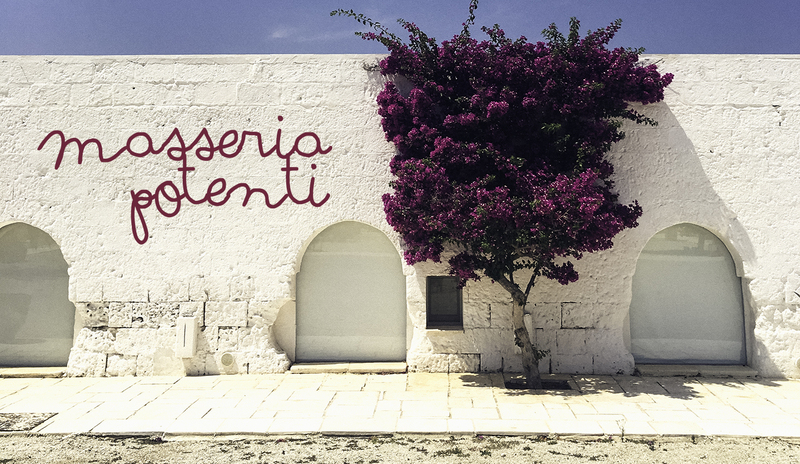 Masseria Potenti is an old fortified farm in the south of Italy – in Puglia. It was run down when the family that now owns it bought it. They were staying in Milan and used this as their summer house. Then friends wanted to come and friends of friends and then they just opened this little gem of an hotel. It’s a farm, a hotel & a restaurant. I got the tip from fellow blogger Malin Persson about this place, she used to live in Italy and knows a lot of great places. We started our holiday here. Just to wind down and chill. Read a lot of books and hanged around the pool. Beppe was reading all of the tree-house books by Andy Griffiths. and nice kids to hang with! It was hotter than June normally is in the area – around 38 degrees. But som of us still managed to move around. Others needed more protection from the sun. We all took long sweet naps. And kept it stylish by the pool. But this place. Nice pots and plants everywhere. and just look at the huge cactus. And I can’t get enough of my love – this bougainvillea. And you know it. Just hanging with the family. Having that extra time makes all the difference after a hectic school year. I mean just look at the things everywhere. How can dry grass look this beautiful? Figtree goals. Will it fit in my livingroom in dark Sweden? moahahahha. Here is the restaurant – set with cool china from the region. I wished I had taken the time to go to Grottaglie to buy some ceramics for home. But it was so hot and the kids wasn’t into it. This is the way to the pool. Even cool cars on the farm. Just casually walking from lunch. Yeah I know you wanted another look at this beauty. This was our own private little yard. And the olive tree in our private garden. No didn’t lay here much but I COULD’ve. Almost as important. The only thing that in this area of Puglia we didn’t find that many really nice places to hang except the hotel. There was a chill little beach just 20 minutes from. But the towns around wasn’t that interesting. But I like small local beaches like this. Feels just normal and nice. But this guy got a little sick so we mostly stayed at the pool these first days. Do we have to leave already? Yes but I love to come back!